Durable 7 oz. 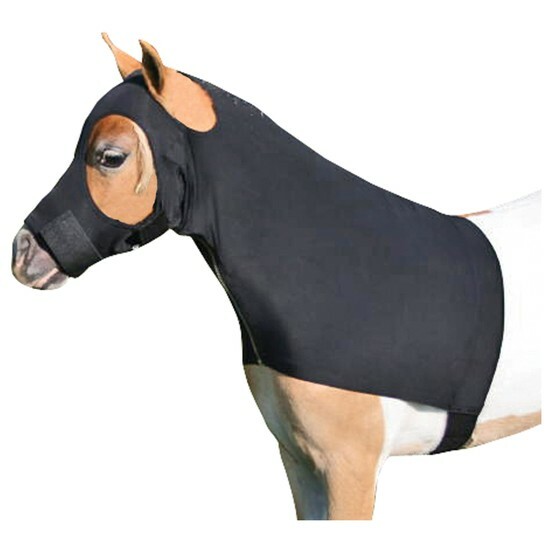 4 way stretch lycra to protect mane and keep horse clean. No-rub face design with no center seam and extra large eye holes. Elastic girth with Velcro fastening. Full separating heavy duty zipper for easier on/off.